During today’s Sunday mass, I was inspired by the Altar boy who was identified as Asperger’s since early childhood. This boy used to sit near me when he attended Sunday mass, fidgeting quite a bit, giggling every now and then. Today, he acted as an Altar boy, attentively attending the mass and keeping his closed palm on his front chest through the Eucharist liturgy. I could feel God’s presence through him. 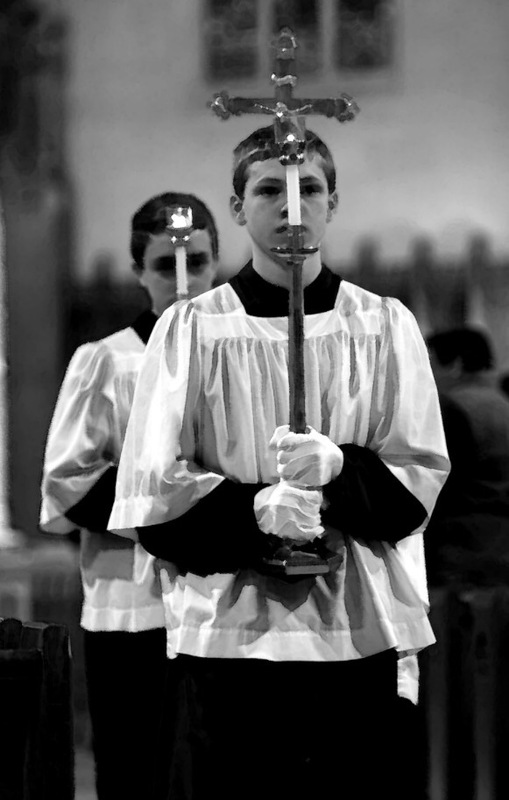 What touches me is the observation that the altar boy acted solemnly. While we know it well that most people with autism don’t connect well with other people, I find him connecting well with God. Regarding the difficulties I find in daily life, I should offer these difficulties to God and become a medium of God’s love. Just like the altar boy.